At these levels of concentration, a single drop in a glass of water could be the equivalent of drinking boxes of tea made from the same herb. Would you casually drink 50 bags of a herbal tea in a day? Of course, you wouldn’t. So, why would you drink a drop of the essential oil without express direction from a medical professional? Another problem with the advice to drink a drop of essential oil diluted in a glass of water is that this is a bad way to deliver essential oils to the body. It can be harmful to the tissues of the mouth and throat. Essential oils don’t mix in water; they need a dispersant. When I’m using them in the bath, I mix them in a dispersant such as milk, sea salt or a carrier oil first so they aren’t floating on the top of the water and irritating that oh-so-sensitive skin when I sit down. I might use a shot glass of milk or a few tablespoons of sea salts, but I don’t climb into the bath without dispersing the oils first. When you add a drop to a glass of water, that droplet doesn’t mingle with the water like a drop of a herbal tincture would. It sits there, and you sling that glass back and take a big gulp. The first signs of distress from this method are irritations to the mouth and throat. They can be damaged by this concentrated plant oil, and repeated exposure exacerbates the situation. After a while other foods that don’t normally bother you may start to sting or burn in the mouth or throat. If you keep it up long enough, you risk becoming sensitized to the chemical components in the essential oil—then when you come into contact with ingredients that share one of those components you might break out in hives or trigger a migraine. You may be wondering if it is ever safe to ingest essential oils. And the answer is that yes, it can be advisable, but only under the care of a trained medical professional. The trick is to have a digestible transport to get it from the mouth and into the digestive system so it can be taken up into the bloodstream. Some clinical aromatherapists, as well as a few nurses and doctors, have received this advanced training. Factors that come into play include metabolism, contraindications, known allergens, medications and the nature of the illness in question. Essential oils aren’t to be consumed as a kind of daily multivitamin. Instead, these powerful plant oils are used internally to rid the body of parasites or worms, or in cases of bacterial and viral infections. They’re also called upon when antibiotic-resistant infections can’t be controlled. 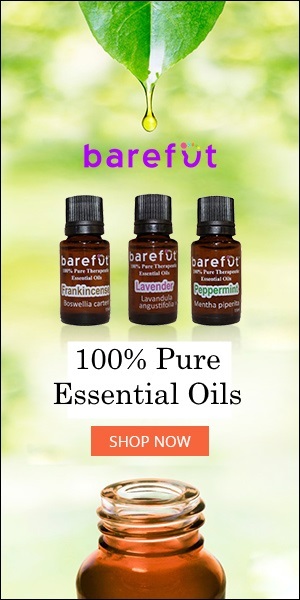 Knowing that essential oils should only be ingested for specific maladies on the advice of a trained medical professional, you might be wondering how people can so easily become confused about whether to drink essential oils diluted in a glass of water. Some laypeople who sell essential oils advise taking essential oils internally and their suggestions can get a lot of traction on social media sites such as Pinterest and Facebook. Let’s say you have an unopened 1⁄2-ounce bottle of lavender essential oil in your home right now. That bottle contains about 300 drops of essential oil. If you store it in a cool, dark space you can anticipate that this bottle will have a shelf life of around five years: 60 drops per year. With those 60 drops, you could have a monthly aromatic bath all year long, or make four 1-ounce massage oil blends. If drinking essential oils are sounding less and less like a good idea, perhaps you’re wondering about potential alternatives. Some of my favorite water additives are likely sitting in your fridge right now. Fresh herbs such as peppermint and lavender, and fresh fruits and vegetables such as cucumber, peach, and lime can be placed into a pitcher of water and left to sit for a few minutes, an hour or overnight for flavoring and to support a wellness goal. Herbal teas can be prepared both hot or cold and are much gentler on the body. As for using essential oils, the quickest way to the bloodstream is through direct inhalation: Put a drop or two of the essential oils on a cotton ball and hold it close to the nostrils while taking a deep breath. You can also use essential oils on the skin: Dilute one drop in a teaspoon of carrier oil (such as coconut or grapeseed oil) to aid absorption and reduce the risk of skin irritation. Taking essential oils orally without consulting a medical professional can tax the liver and damage mucous membranes. About once a month, I see a client complaining of right-side abdominal pain, lethargy, joint pain, and indigestion. At some point, they mention they’ve been adding essential oils to their drinking water because their neighbor said it would make their water taste better or help them lose weight (or cure Ebola). I try to restrain my initial alarm and calmly explain that essential oils and water don’t mix, literally and that the oils are effective mucous membrane irritants. In some cases, the client gets a liver panel. Typically, we discover that the liver isn’t happy with this intense routine and the doctor advises her to discontinue use. Sometimes the damage is permanent—vocal chords aren’t what they used to be, or there’s damage to the esophagus or stomach. The liver is usually pretty capable of self-healing, and once the poison is removed, liver enzymes normalize, the abdominal pain disappears and energy levels perk up again. The mystery joint pain and other weird symptoms ease and disappear, too. For reasons I can only deduce as marketing gimmicks, a couple of companies have been putting nutrition fact labels on their essential oils as if a product roughly 100 times concentrated should casually be used as a nutrition supplement. Essential oils have no vitamin or mineral content, zero nutrition content, and should be considered a drug when used orally. The FDA sent strongly worded letters to two such companies that market essential oils as dietary supplements while using drug claims. The French use essential oils in enteric-coated pills to treat mild to moderate depression and irritable bowel syndrome. If you lived in France, your psychiatrist or doctor could prescribe an aromatic medicine for you and you’d fill the prescription down at the pharmacy. A doctor to whom I refer clients prescribes oral essential oils for parasitical infections such as amoebas, Lyme disease or for other infections such as antibiotic-resistant staph (MRSA). So yes, sometimes essential oils are used orally as medications—but under close observation, because they can easily turn into a poison with the wrong route of absorption or the wrong dosage. Can you overdose on an essential oil? Absolutely. And sometimes that dose is very small, less than 1 teaspoon for some.